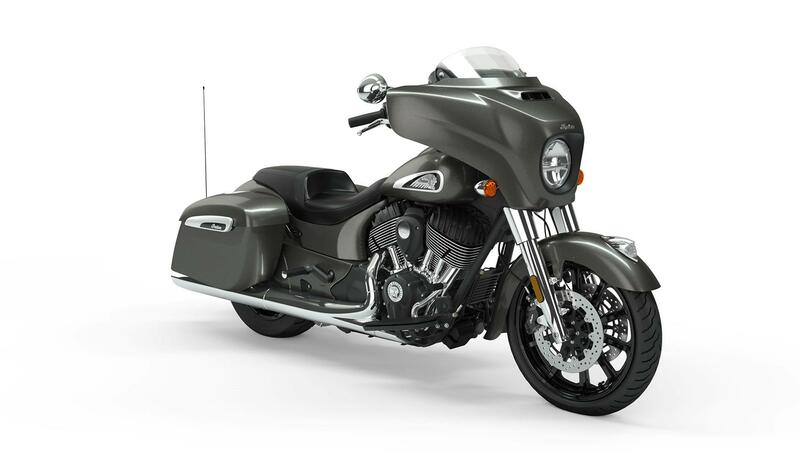 The Indian Chieftain gets a sharp redesign for 2019 with cleaner lines and a smaller overall profile. The panniers have harder edges and sit tight against the huge silencers, and new badging on the tank and panniers further cleans up the look. The Chieftain range also gets an updated electronics package, three new riding modes and a Rear Cylinder Deactivation, which shuts down the rear cylinder in traffic helping to reduce noise, consumption, and heat. The banging stereo system is also updated to 100 watts. For more traditional types, Indian still be produce the Chieftain Classic. 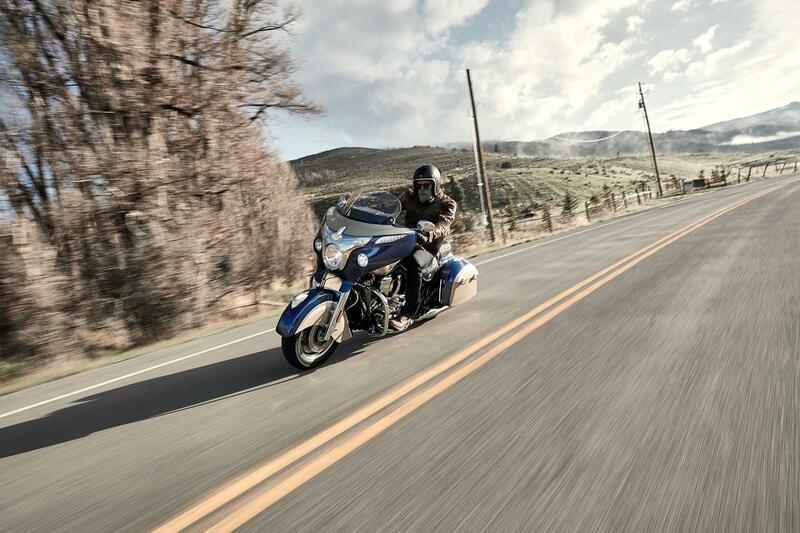 For 2019, all of the Chieftain models also get three switchable riding modes to choose between - Tour, Standard and Sport – each with its own throttle map. Tour will be the softest, with a slow throttle response designed for cruising and Sport the most immediate for spirited riding. What's more, much like a lot of Indian's range, these bikes will also get rear cylinder deactivation, whereby the rear cylinder cuts out while the bike is stationary to keep the bike (and therefore the rider) cooler in traffic. The cylinder reactivates as soon as the throttle is applied, so Indian say. 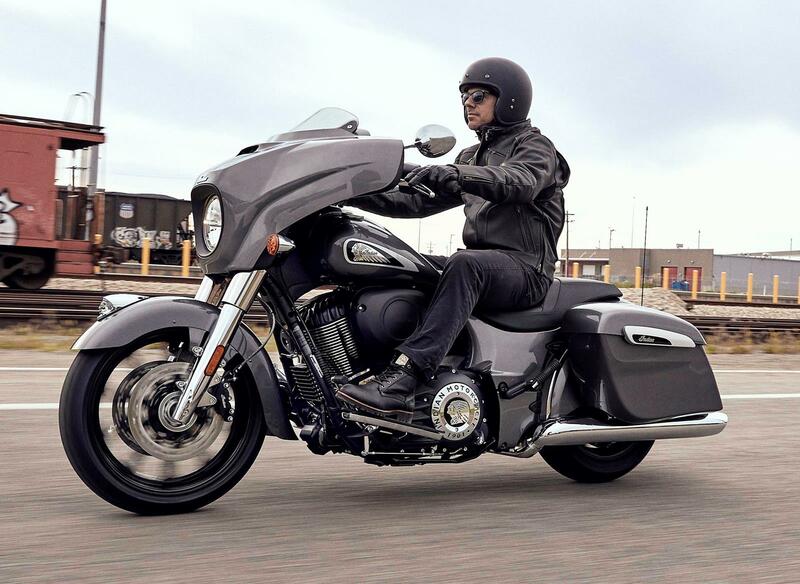 The latest 2019 Chieftain series also retains some of the styling features introduced to the 2017 range, including the 10-spoke, 19-inch front wheel and open fender, which first appeared on the Limited and Elite models. The fairing has been completely restyled with sharper lines and a smaller overall profile, although the height adjustable screen remains. The saddlebags have harder edges and are slammed tight to the huge silencers. The new ‘Rogue’ one-piece gunfighter seat furthers the modern look as do the new badges on the tank and saddlebags. Completing the redesign is the iconic illuminated Indian headdress on the front mudguard. Although the Chieftain has always enjoyed an audio system, the 2019 bike has been updated to significantly improve sound quality. This has been made effective by an automatically adjusting equaliser, which will alter each frequency to the optimal level to compensate for road, wind and engine noise. Up to 50% louder than the stock unit, riders can also choose from three audio upgrade kits: PowerBand Audio (which is a fairing speaker upgrade), Audio Plus (which is fairing speaker and saddlebag speakers) and Audio Plus with accessory trunk (which as you guessed includes the top box upgrade). Alongside the above alterations, the Chieftain Dark Horse lineup will enjoy multiple new colour schemes for 2019, as well as a black ceramic exhaust and gloss black finishes on the features including the valve covers to achieve what Indian are calling a 'blacked-out look'.